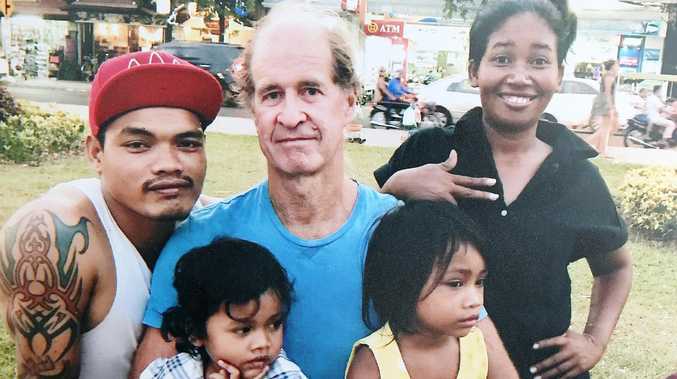 James Ricketson with the Cambodian family he is making a documentary with. Picture: Tim Hunter. THIS is the squalor James Ricketson thought he would spend the rest of his life in. In his first in-depth interview since landing on Australian soil, the Australian filmmaker told True Crime Australia of his 15 months in one of Cambodia's worst prisons. The blistering tropical sores that once covered his body, acquired after sharing a cell with 140 inmates in Phnom Penh's Prey Sar jail, have almost healed. His sense of injustice at the system that kept him, and many others, falsely imprisoned on charges he claims are baseless has not. 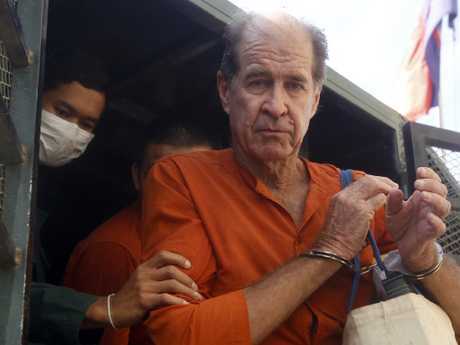 Ricketson, 69, was arrested after flying a drone at an opposition rally in June, 2017, accused of attempting to jeopardise Cambodia's national security and overthrow long-reigning dictator Prime Minister Hun Sen.
"It had nothing to do with me being a spy and nothing to do with me committing a crime," said Ricketson, speaking from his home in Sydney's Palm Beach. 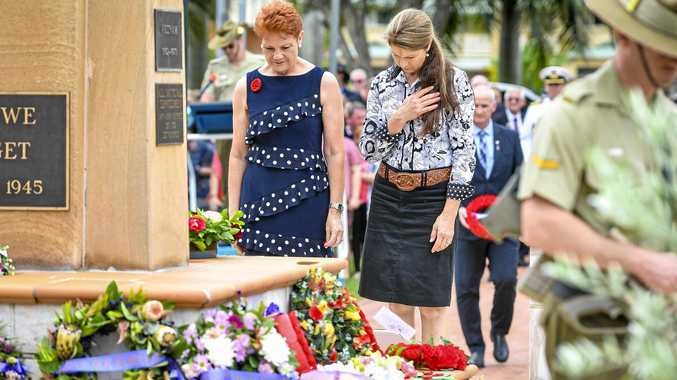 "I was just a useful pawn in a very large geo-political game that involved the US, Cambodia, Australia, the EU and the opposition party they were trying to discredit." 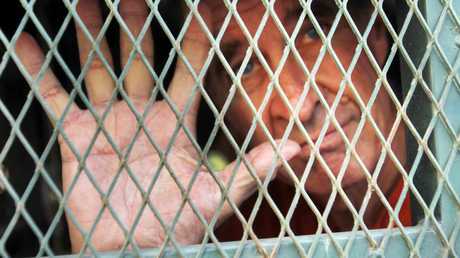 The Australian filmmaker, who has been travelling to Cambodia for 22 years to make a long-running documentary on the life of a beggar girl, endured a six-day interrogation. "They were trying to pin me for something. I'm unsure exactly what it was they wanted to pin me for except I do have a few enemies in Cambodia, not just the government," he said. "After the end of six days they told me we haven't found any evidence at all you've done anything and I was charged with being a spy." Taken to a cell crawling with rats and cockroaches, where each man is allocated one metre square and 140 prisoners share three squat toilets, Ricketson was initially confident the Australian Government would instantly intervene, but as months passed and countless letters to then Foreign Affairs Minister Julie Bishop, Prime Minister Malcolm Turnbull and Attorney-General Mark Speakman went unanswered, his faith dwindled. "My fear is that the Aust govt (sic) will do nothing unless public pressure is brought to bear. My concern is that unless this pressure is brought to bear soon the spy narrative will become so firmly entrenched that the Cambodian authorities will not be able to remove me from the board without significant loss of face," writes Ricketson. Although he was able to use small bribes of $1 to $2 to make his life in jail more comfortable, the option to make a large payment to secure his freedom was not available. As one of few foreigners "packed in like sardines" among tattooed gangsters, murderers, rapists, paedophiles, smugglers and ice users, the unbearably humid and unhygienic conditions saw Ricketson develop an undiagnosed, life-threatening tropical illness that saw him lose 20kgs. He still suffers from relentless daily headaches, fainting spells and body aches as a result. "By 9pm the tank holding water to flush toilets had most often run out and the smell of stale urine assailing my nostrils as I wrote was overpowering," writes Ricketson. However, he maintained optimism. "As I sit here in my crowded cell I am very aware of how fortunate I am to have lived a life completely free of the sorts of problems my fellow cellmates have endured on a regular basis," he writes. 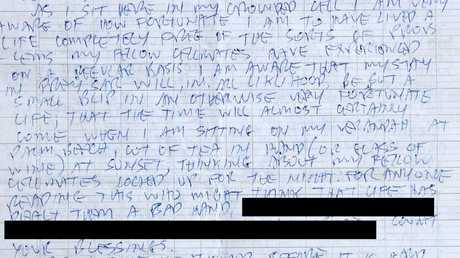 A page of James Ricketson's journal that he kept while imprisoned in Cambodia's Prey Sar prison. Picture: Tim Hunter. Christmas Eve will mark three months since Ricketson has been home and he is looking forward to celebrating with his son, Jesse, and adopted daughter, Roxanne. 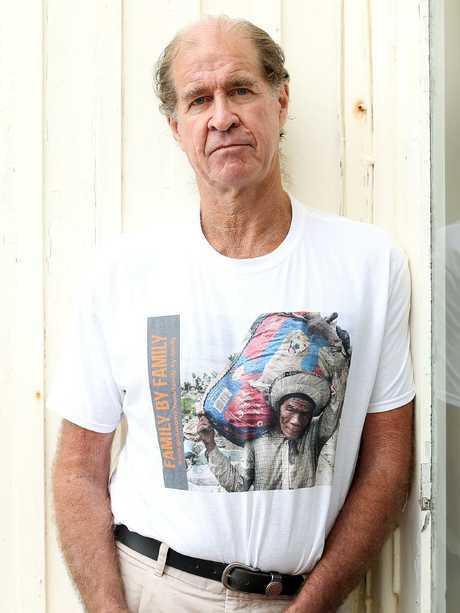 He still intends to return to Cambodia to continue his work with his charity Family By Family, helping disadvantaged local families, but will wait until it is "99 per cent" safe for him to do so. "Jail made me realise how strong I am and how resilient I am but also how strong and resilient most people are when they're confronted by something dreadful that happens in their lives," said Ricketson. "Most of us think before it happens that we couldn't cope but all of us wind up having to cope. I never gave up hope. You can't give up hope, whatever happens in your life."